I was the lead designer on this project and worked on it in partnership with another designer on the packaging design team at Williams-Sonoma. 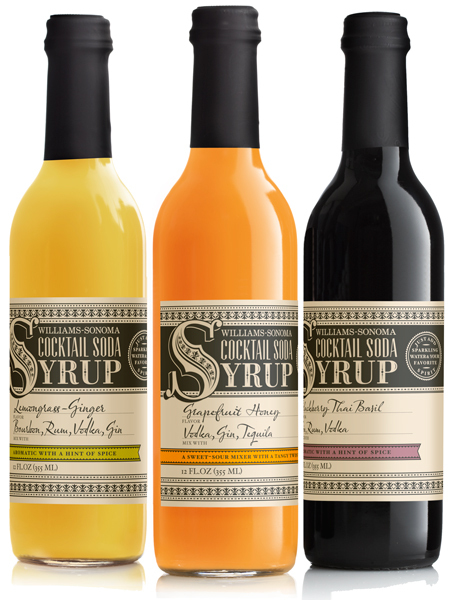 A range of syrups for use in cocktails which conveys an old time whiskey label feel, tying in with other product ranges within the mixers and bar category. 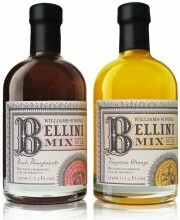 The cocktail syrups were designed to tie in with the bellini mixes and use the same uncoated paper stock and colours.